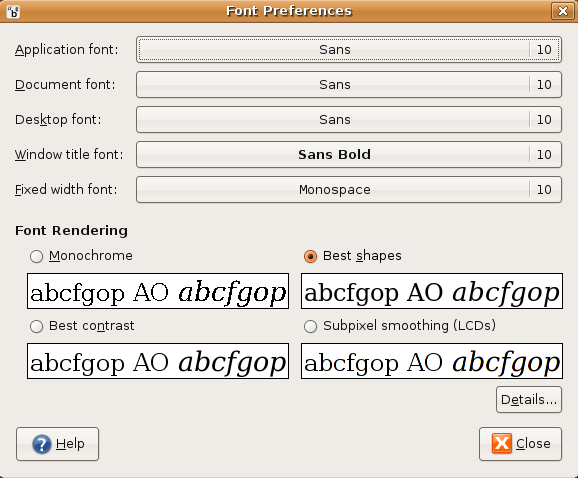 Ubuntu uses Defoma,the Debian Font Manager,to centralize and simplify font management across all applications.Defoma, which stands for DEbian FOnt MAnager, provides a framework for automatic font configuration. An application whose configuration of fonts usually requires manual intervention can automate the process through Defoma, by installing a Defoma-configuration script. The script gets called whenever a font is installed and removed, so that the script may update the application configuration.Debian Font Manager --- automatic font configuration framework. Font packages should register their fonts to Defoma in order to have them configured automatically for applications. 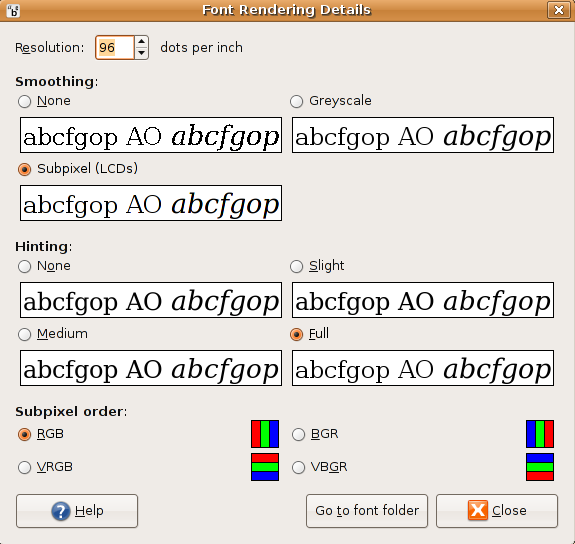 Microsoft Windows comes bundled with a number of core TrueType fonts. 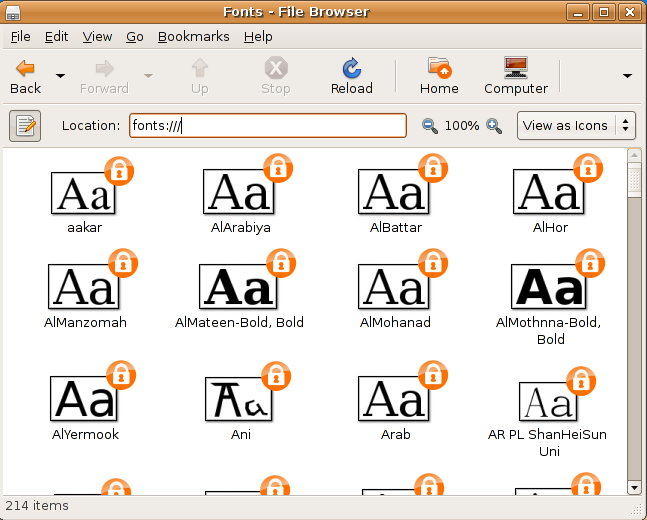 Licence restrictions prevent the Microsoft fonts from being distributed directly as part of Ubuntu, but Microsoft does make them available for free download directly from its web site. the font files to the ~/.fonts/ directory. Now you should see the following screen Drag your new TrueType font from your desktop or file manager into the font-list window, and it will be automatically installed and made available to applications through Defoma the next time they start up. The package ttf-ubuntu-title consists of the font used by Ubuntu’s logo it was made available by Canonical under the LGPL to make rebranding of Ubuntu easier. convert between Mac and UNIX font formats.Fondu is a set of programs to convert between Mac font formats and PFB, TTF, OTF and BDF files on UNIX. inside it to generate converted TTF files. I have a Q want to ask you. I want to convert all fonts on SUSE Linux 10.1 to use on Microsoft Windows XP SP2. What can I do? or the program for convert it, if have you’ll tell me about the name software.